The BRICS (Brazil, Russia, India, China and South Africa) leaders held restricted talks on 16 October in Goa and later offered their comments at the Plenary session of 8th BRICS Summit. We are celebrating 10 years of our partnership under BRICS, it has produced strong benefits of cooperation. We must speed up the work on setting up BRICS agricultural research centre, railway research network and BRICS Sports council. There is a clear need to build norms, create structure to stop tax invasion, black money and stop corruption. In a world of uncertainties, BRICS stands as a beacon of peace, potential, and promise. BRICS Trade Fair just concluded, it should become a regular platform for business exchanges. Security and counter-terrorism cooperation is necessary if we have to safeguard the lives of our citizens. Our response to terror must be nothing less than comprehensive, we need to act both individually and collectively. Terrorism casts a long shadow on our development and economic prosperity, it has grown more lethal. Selective approaches to terrorists, individuals and organisations will not only be futile but also counter-productive. I visited India in 2014, hardworking people and colorful traditions of this great country left me a deep impression. October is the season of harvest and this year marks the tenth anniversary of BRICS cooperation. We need to deepen our partnership, we BRICS countries are good friends, brothers & partners that treat each other with sincerity. The world is faced with new inter-connected challenges which require our concerted efforts to resolve. We (BRICS nations) have similar challenges, we can work together to overcome them. We all can expand our partnership in different areas. 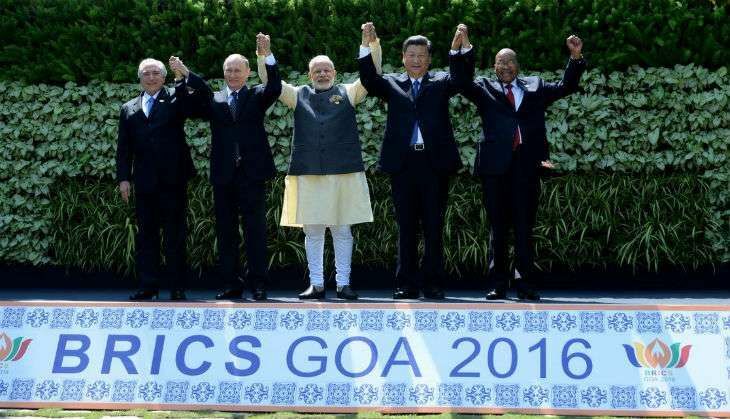 Would like to congratulate PM Narendra Modi for the effort to take BRICS out of meeting rooms, to public spaces. Combating terrorism including cross-border terrorism and its supporters will be key BRICS priority. We will work closely to fight tax evasion, black money, and corruption. I think through common vision and collective action we will create and sustain deeper bonds among BRICS nations.